What do we call technology that we love and cherish? Toys. Because no matter how grownup we become, we’ll always need our toys. I am at my happiest writing about tech when something new delights the six-year-old still alive and well inside me, and I can’t remember the last time I felt as gladdened as I am by the story of the PowerUp 3.0 smartphone-controlled paper airplane. 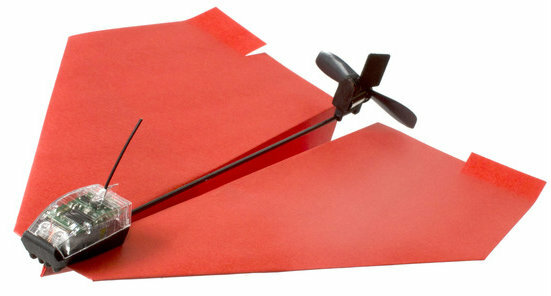 The PowerUp 3 kit attaches a small propeller and rudder to the back of a handmade paper airplane. On the nose sits a micro-USB rechargeable battery and a chip that communicates with an iPhone app via Bluetooth Smart that lets children of all ages pilot a paper airplane up to 180 feet with a smartphone. I’m not the only one thrilled by the ingenious invention. 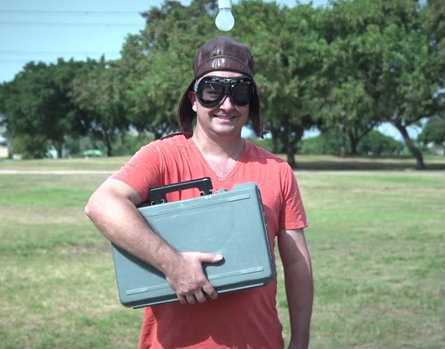 Shai Goitein started a modest Kickstarter campaign to begin production of his plane. He needed 1,400 backers to pledge 50,000 for this to happen. Instead, as of this writing, 21,412 pledged $1,232,612. Crossing the million dollar threshold unlocked the dogfight development of the project – multiplayers will soon be able to have midair battles between planes, with proximity sensors stopping the opponent’s motor at close range. I recently taught my nephew how to fold a paper airplane, and he was overjoyed (OK, he’s only 2) to see his plane sail across the room (before he crumpled then tried to eat it). Wait till he gets a look at this! Shai Goitein was a pilot himself before he turned industrial designer and inventor. While volunteer teaching aerodynamics to underprivileged kids, he researched micro indoor flight and found inspiration to build a remote-controlled paper airplane. From there, his wish to “bring the joy of flight to everyone” kept him busy for the last five years as he developed and tested the first two versions. The latest incarnation of his plane took home the Popular Science Best of Toy Fair 2013 honor. Full production may well begin ahead of planning and development of an Android app should also advance. For the sailors at heart, PowerUp sells a conversion kit for turning paper boats into remote-controlled vessels. The prospect of an Amazon drone one day delivering a package to our doorstep has made me look to the skies uneasily as of late. The thought of a PowerUp plane landing in the backyard has helped me recover my smile.